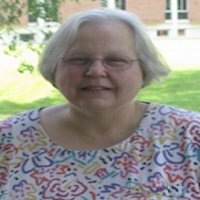 Dr. Bauder has served as Associate Professor of Special Education and has been in the field of special education for over 40 years. She has been a teacher, technical consultant, computer specialist, technology training specialist, instructor in higher education, and a director of statewide training in assistive technology. Dr. Bauder provides training on technology/assistive technology and its use with individuals with disabilities. Dr. Bauder has also been a trainer and consultant regarding UDL. She was a co-leader on Kentucky’s UDL statewide project. She has worked with hundreds of professionals in regular and special education in providing technical consultation and training on effective methods of integrating technology into the classroom and has been a principal investigator on numerous research grants, including grants specifically designed to test innovative uses of technology with students in special education. Dr. Bauder is also a nationally known speaker and has presented at conferences such as ATIA, SITE, Council for Exceptional Children, International Society for Technology in Education (ISTE) and TASH.